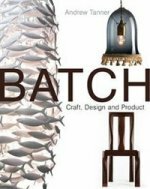 Аннотация к книге "Batch. Work of Designer Maker"
This is to be a glamorous book covering the new trend of international designer-makers, showing the cream of the contemporary craft world, and crossing most disciplines (incl. ceramics, textiles, wood, glass, precious materials & metals). Designer-makers are pushing the boundaries and concept of craft, taking it to a new level and making small batches of work for large retail outlets which are finished to a high standard. The book shows a glorious array of handcrafted objects, with information gathered from each maker, explaining the ideas and concept behind their products, and how they got started and developed their work. The book also includes lots of practical information on running a small craft business effectively, such as liasing with manufacturers, dealing with press, sourcing commissions, packaging and marketing. It contains a gallery and design shop guide and will appeal to makers for both visual interest and practical information, but also to buyers as a directory of contemporary craft makers at the top of their field.